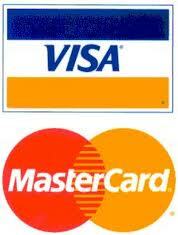 VISA International is a credit card issuing and processing company that issues the VISA brand of credit/debit cards. Most of these cards are issued via banks. In some countries where credit facilities are available, traders with good credit rating can obtain a VISA credit card from their bank, and use it to deposit/withdraw funds from their binary options trading accounts. In other cash-based societies, what traders are likely to get are VISA debit cards, issued by their bankers. VISA virtual cards, which are issued by several card processing companies for the purpose of online payments, are not very suitable for trading as the issuing bank is unknown and if there are issues, very little can be done to rectify them. As such, VISA virtual cards will not be addressed in this discussion. Whether you own a credit or debit card issued by VISA, you can use them to deposit funds in, and withdraw from a binary options trading account. Exceptions to this are traders who are nationals of countries that are in some form of financial blacklist from the Office of Foreign Assets and Control (OFAC), the Financial Action Task Force (FATF), or countries who are classified as those that condone money laundering or are state sponsors of terrorism. But if your country has a clean bill of health, you are very free to enjoy the benefits of using VISA cards for funding and withdrawing from your trading account. Deposit transactions involving VISA credit/debit cards on trading accounts are instant. Withdrawals generally take one working day to complete. If you are using a VISA card for the first time to withdraw funds, some brokers may insist on some kind of confirmation from the trader. This could be in the form of requesting for a credit card statement from your bank, or an ATM transaction receipt bearing the holder’s name, address and any other particulars the broker may be interested in. Some may even request for a picture of the trader holding the card, or a close-up picture of the front and back of the card with the card number, expiry date, CVC/CVV number (three-digit security code) and cardholder’s name displayed. Once the confirmation is obtained, the trader’s withdrawal request is processed. Subsequent withdrawals are usually completed in a jiffy without asking for all these details. Some brokers also have a partnership with VISA to provide cards for their traders. This enables traders to load the cards independently and use them to fund their binary options accounts, and also use same for withdrawing from their trading accounts. These VISA cards can then be employed on an ATM to cash out the card balance. Here is a list of some more brokers that permit the use of VISA cards to deposit funds and withdraw from their accounts. binary.com have been in business a long time and it shows in the quality of service they render. 10 days for a VISA withdrawal? No way that this is the case with Binary.com. VISA card deposit is instant, and withdrawals take 3 working days. Amounts that can be deposited or withdrawn with VISA cards are as low as $10 and as high as $7,500. You wanted it, now you’ve got it. Binary options brokers where you can use your VISA card.